Linderhof Castle is situated just a few kilometres from Oberammergau and is the smallest of three castles built by King Ludwig II of Bavaria. It is also the only one which he lived to see completed. Although much smaller, the castle’s design was inspired by the Palace of Versailles and is dedicated to Ludwig’s idol, Louis XIV of France, who died a century before. 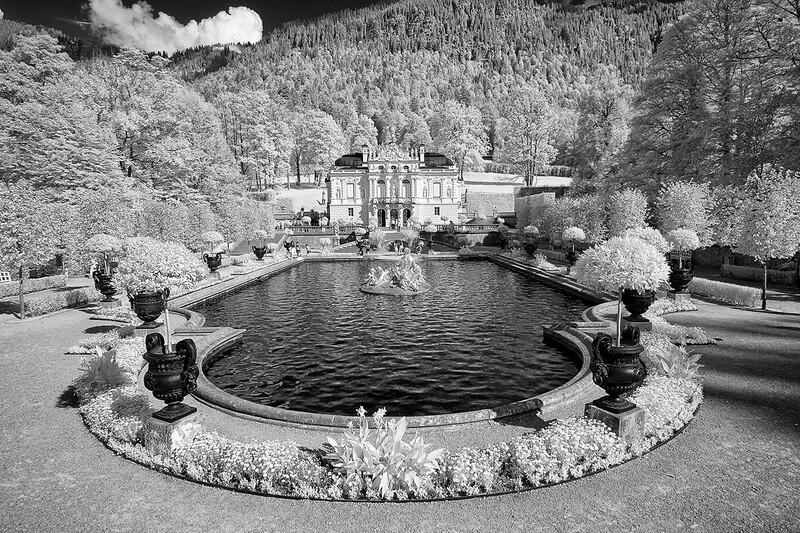 The gardens surrounding Linderhof Castle were designed in the Baroque style by Carl von Effner with the castle being set into a hillside.